Casey’s Irish Imports located in Rocky River, Ohio, was established in 1988 and will be celebrating their 30th anniversary this October. 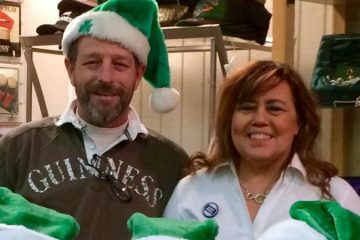 Original owners and founders, Vera and Tom Casey (of Cong, Co. Mayo and Carrick, Co. Galway) fulfilled a lifelong dream of importing the treasures of their native Ireland to America when they opened their doors 30 years ago. The city of Rocky River was a perfect choice as it was located in the center of the large west side Irish American community. Casey’s began in one storefront and eventually expanded to cover two shop fronts. The store is now owned and operated by the next generation of Casey’s, sisters Maureen Casey and Kathleen Casey Proctor, residents of Rocky River and Fairview Park. Their staff includes their brother, niece, and a dedicated staff who either immigrated from Ireland or of Irish descent. Casey’s is a unique family run business that prides itself on outstanding customer service, always willing to research or special order a product to meet their customer’s needs. Casey’s specializes in Irish and Celtic Jewelry, Irish Knitwear, Waterford Crystal, Belleek China, Religious items, Irish foods, clothing and home décor. 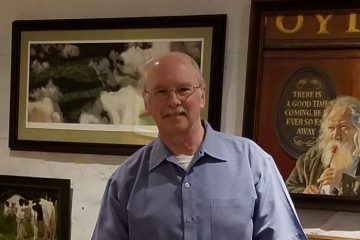 Casey’s has been previously voted best gift shop in Cleveland on the Fox 8 Hotlist and has received the Celtic Warrior Award as an outstanding merchant & member of The North American Celtic Trade Association for promoting Celtic heritage. 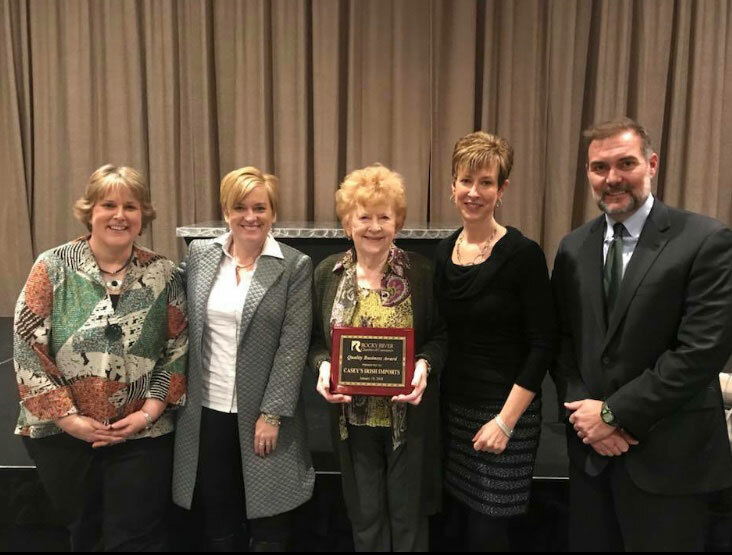 Most recently, in January of 2018, they were awarded the Quality Business Award by the Rocky River Chamber of Commerce. Maureen and Kathleen travel to various Irish trade shows in Chicago, New Jersey, and Dublin, Ireland throughout the year to find new items to showcase at their store. 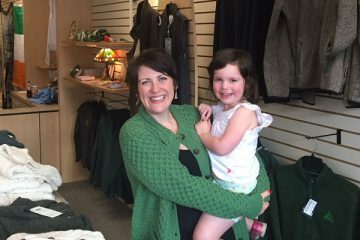 In addition to running the store they are involved in several Irish organizations and serve on various Irish boards in the Cleveland Area. Casey’s also annually sponsors a contestant in Ohio Rose of Tralee.